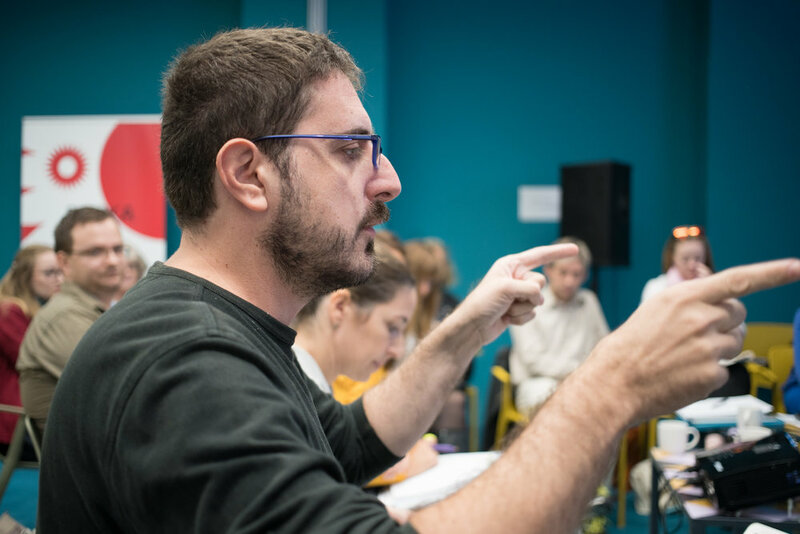 Europe gets an arts incubator: The international theater project "Make a Move"
The exciting international project "Make a Move" was launched in Rijeka’s RiHub Cultural Centre this Friday, 19th October. “Make a Move” is an Art Incubator for contemporary European non-institutionalised theatre which will bring together non-institutionalised theater organizations and artists from Croatia, Ireland, Spain, and Romania. 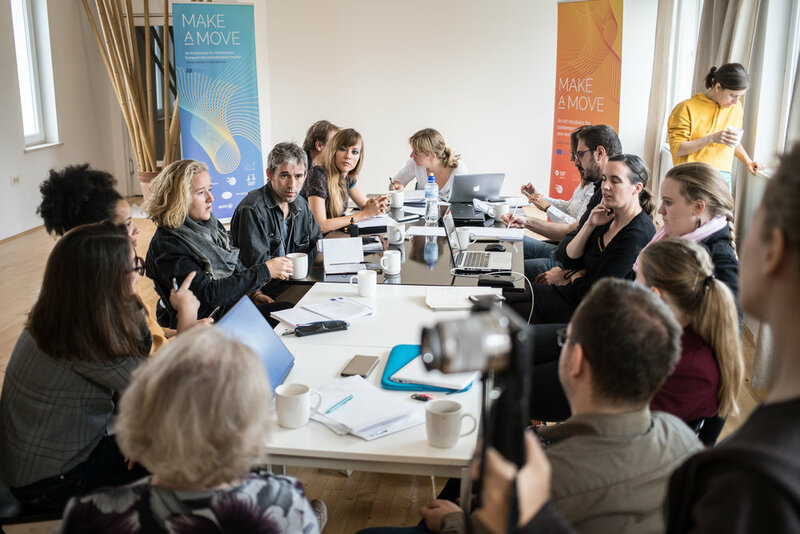 “Make a Move" is co-funded by the European Union’s Creative Europe program with under the small-scale project strand (€200,000). In the name of Rijeka 2020, Jelena Milić, presented the program "Kitchen", which is part of the “Rijeka European Capital of Culture 2020” project, underlining that KRILA are one of the partners from the local independent scene in the “Kitchen” program, and that they will certainly participate in the program activities of this cultural project in 2020. 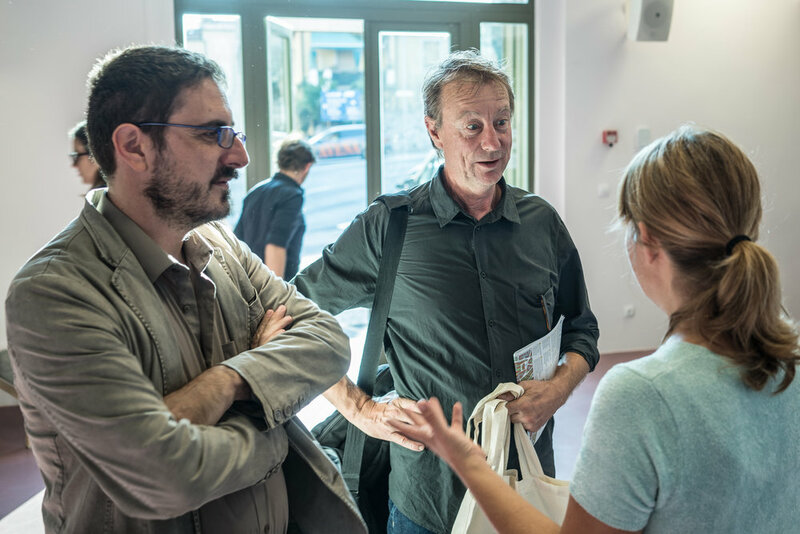 Inside of the program ”Kitchen” KRILA are already implementing the project "Unreal Cities", which is based on connecting international independent theater artists and transforming the urban areas of European cities. The success achieved with the Project “Make a Move” was also highlighted by Ivan Šarar, head of the Department of Culture of the City of Rijeka, who noted that "Make a Move" is one of the rare projects of this scale developed by a non-governmental organization in Rijeka. The project launch was also attended by the members of partner organizations who presented their work. Particularly interesting is the link to the Galway Theater Festival from Ireland, whose project producer Máiréad Ní Chróinín highlighted the fact that Rijeka and Galway, two cultural capitals in 2020, will connect through common creativity on the stage and work to promote the values of contemporary theatrical non-institutional practices. Galway can, just like Rijeka, be proud of its rich theatrical and marine tradition and the prominent communities of national minorities, and this connectivity will be emphasized by the fact that "Make a Move" will be included in both Rijeka and Galway's European Capital of Culture program. The Galway aspect of the project is an art incubator, to be held in April next year, which will focus on the use of digital technology in non-institutionalised theatre practices and in the development of new communication and marketing models for non-institutional arts organisations. The project partners and associate partners of "Make a Move" will also visit and work in Sitges, a town 35 km from Barcelona. Armando Rotondi, project manager of "Institute of Arts Barcelona" emphasized that the benefits of the common development on the international scale will result from exchanging and intertwining knowledge and experiences, especially while analyzing the existing institutional and non-institutional contemporary theater and developing a methodology for attracting audiences. According to Ivana Peranić, the name "Make a Move", was inspired by graffiti on the streets of Rijeka that perfectly captured the essence of the project idea: A group of movement-based theatre artists deciding to take action to affect change in the ability of the non-institutionalised theatre sector to evolve and bring theatre closer to the contemporary society.